For those of you who have been following our quilt raffle to support the artisans’ anti-abuse program in India – here’s your chance to help make the project a reality! If you are part of a quilting guild, or make quilts yourself, or know anyone who would like to make a quilt- write to us immediately! We would really love to collaborate with you or your friends on this worthy project. The artisans at MarketPlace have been fighting against domestic violence for almost two years now. They have acted in street plays in their local communities and at various NGOs for women, highlighting the evil reality of verbal and physical abuse at home, and encouraging women to speak up against it. Domestic violence is still a very prevalent social ill which continues to be overlooked and even condoned. Women are widely expected to live with abuse from husbands and in-laws. It took great courage on the part of the artisans to perform in public places, having never acted a day in their lives before this. Not only that, but they are breaking the rule of silence in front of their friends, neighbours and family members. Sometimes they have had to perform with known abusers in the crowd around them. They’ve had a great start, but need money to continue their efforts. 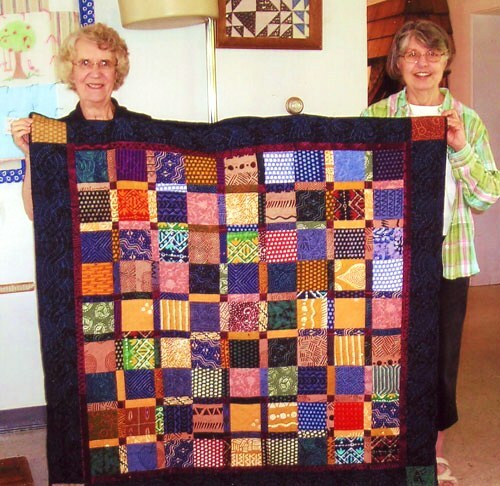 Money raised through this quilting project will support them by paying for performance coaches, equipment (such as drums), and transportation expenses. The quilts will be made from scraps of MarketPlace fabrics that have been left over from production. 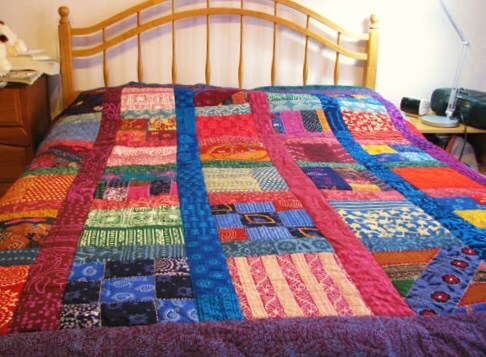 This is a great way to recycle bits and pieces which we can’t otherwise use but which are beautiful hand-dyed cotton guaranteed to make a wonderful one-of-a-kind quilt. We will be happy to send you the materials right away. So write to us at Hannah@marketplaceindia.com and help fight abuse today! Next Post: Holi- the Festival of Colors!